Happy Monday my friends! Since last week was full of runny noses and cold, wet rain, I am hoping this week brings an end to the sniffles and a bit of sunshine. I have been nursing four sick kids for days, and doing my best to keep the germs at bay. I am feeling a little under the weather, but not terrible. Hopefully the extra vitamins and fresh berries I'm loading up on will help. Today I'm sharing an image I took of Little Miss one late afternoon last week when the sun decided to peek through the clouds. Poor girl is currently fighting a runny nose and nasty cough. Hopefully it soon will pass. P.S. Did you know that I'm a contributor over at In the Moment With? Stop by today and check out my post. You can also enter to win $50 PayPal cash here! Hurry! The giveaway ends tomorrow. Good luck with the cold! It's been a rough season this year. I can't get enough of those curls!! Oh she is just delightful!!! What a ray of sunshine. Sorry to hear that you have been dealing with the yuck for so long:( The only bright side I can see is how much you will appreciate it when your house is well. I am so sorry to hear that she's not doing well. But OMG- this image of her is stunning. Love the colors, the light & oh that sweet face. Perfection! I do hope these germs scoot out of your home soon! 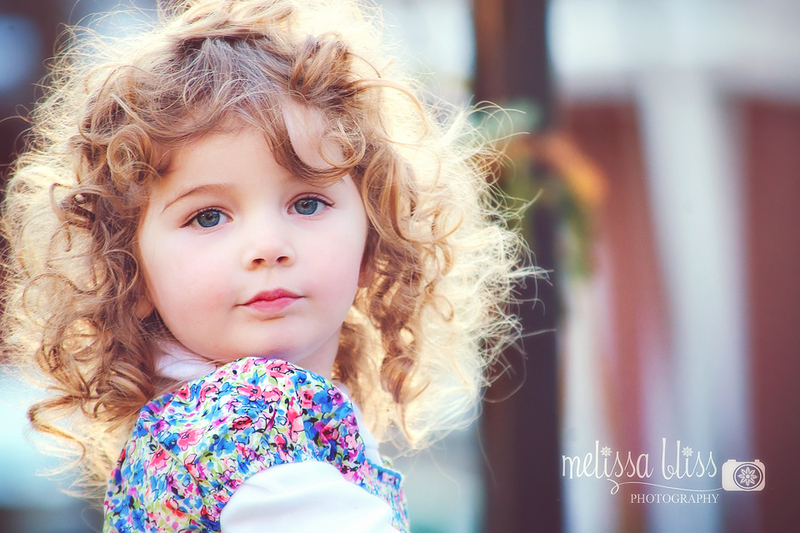 This is such a pretty image of Little Miss. I love everything about it. The colors are so happy! So sorry you've had the sickies lingering around! Here's to a healthier week!! Her skin is like a little doll! The light rays coming through her hair is breathtaking! Love her hair in the light. Sorry you've had a sick house. That is never fun especially with the little ones and their runny noses--yuck! Oh, I love those beautiful curls!! What a precious shot of your beauty! :) Just love it. It's been such a busy week for me that I'm finally having a chance to catch up with my favorite blogs. This one sure brought a smile to my face.